A great part of the podcast is the the attention to the different Godzilla soundtracks. Kyle notes, "I am opening another door to Godzilla fanaticism that I have yet to really dive into, soundtrack collection. My goal will be to involve myself not only with collecting, but learning to appreciate the subtle changes between composers and themes in the soundtracks." 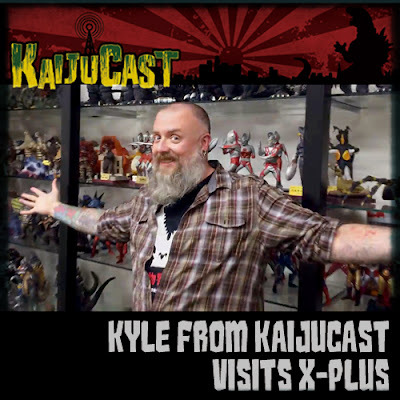 Recently on the KaijuCast Video Transmission YouTube channel, Kyle visits X-Plus a company known for making some of the best Godzilla figures. Kyle does a great interview showcasing how X-plus started and how they have grown. Watch the video below. 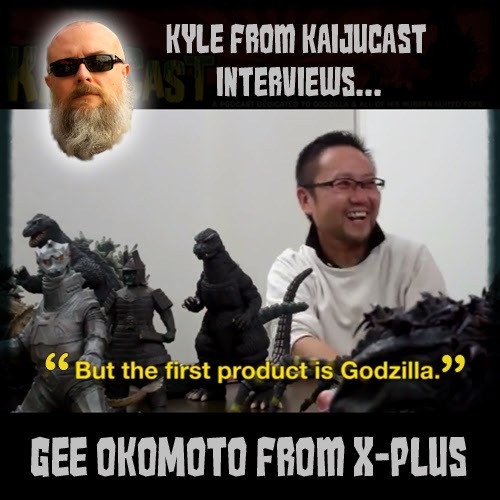 Be sure and check out KaijuCast.com. Visit the KaijuCast Facebook Page. And definitely subscribe to the KaijuCast podcast on itunes.